For those of us who live in urban jungles, constant noise and activity is inevitable. The rumble of vehicles, subways and crowded spaces are all part and parcel of daily life. Noise isolating headphones like the V-Moda Crossfade M-100 allow users to escape into a private listening experience, with only their chosen audio and music in their ears as the world rushes past. The M-100 gets rave reviews all over the Net, with some calling it a superb ‘crossover’ pair of headphones that can satisfy both audiophiles and casual listeners. 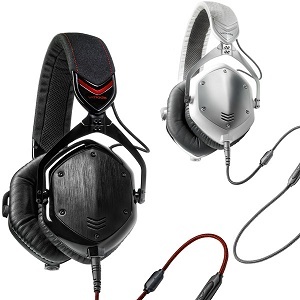 V-Moda calls them ‘crowdsourced’ – and for good reason. 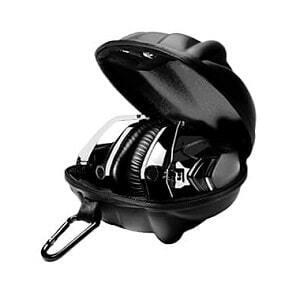 The headphones were developed with input from over 200 audiophile aficionados, including professional sound producers, DJs, editors, gamers and musicians – so users can be rest assured that these cans are made by audiophiles, for audiophiles. 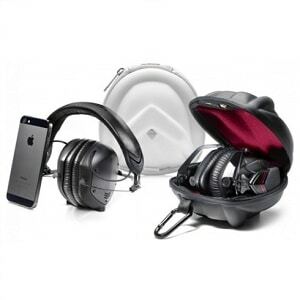 They run on V-Moda’s award-winning M-Class ‘Modern Audiophile’ sound signature, which delivers a flatter response and more well-balanced sound compared to its other signature, the LP Live Class, which favours a heavier bass. Nonetheless, users can still expect precision bass, vivid mids and crystal clear, sparkly highs– thanks to patented 50mm dual diaphragm drivers, which are larger than most models on the market. The inner and outer rings separate the bass from bleeding into the mids and highs, so each range is clear and well-defined. The headphones are also extensively tested at six frequencies, usually by order of magnitude, to maintain a strict and consistent driver performance. The M-100 has a very wide frequency response, ranging from 5 Hz to 30,000 Hz. While the human ears are only tuned between 20 to 20,000Hz, users will definitely feel the vibration of low and high frequencies, even if they can’t hear the notes. Featuring a wide 3D sound stage, the M-100 will give users a spatial sense of their audio ‘surroundings’. With the headphones in, users will feel as if a musician is playing music live, up front on stage, or hear enemy footfalls coming from behind during gaming sessions. The headphones have a high sensitivity rating of 103dB. Coupled with a low impedance of 32 ohms, they work especially well with portable audio devices such as CD players, iPods, PCs and tablets, as well as home hi-fi systems. The M-100 sports a unique, easily distinguishable look that is sure to attract envious stares in public. Combining industrial grade materials with a sleek, futuristic design, they are tough and built to last. The headphones are circumaural, which means that the cups go over the ears and envelop them completely for superb noise isolation. They block out ambient noise well, such as the sound of crying babies on a plane and the rumbling of vehicle engines. The design also ensures minimal sound leakage, so music and audio stays in the user’s personal space without bothering others around you. Unlike regular headphones, which usually have round or oval cups, the M-100’s cups are hexagon-shaped, which contours to facial features for an ergonomic look, whilst minimizing gaps. Despite their large dimensions, the M-100 is surprisingly lightweight at just over 8 ounces, and durable to boot. Tested to rigorous military standards, these are headphones that can take a beating, no matter how hard you throw them on the ground or how knocked up they get on a flight – making them perfect travel companions. 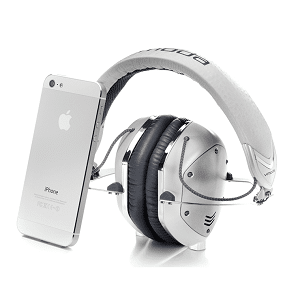 No flimsy plastic here: the headphones feature a steel frame and interchangeable aircraft grade metal shields. They are designed to survive strong impact on a concrete floor, even when dropped from a height of six feet for over 70 times.The Steelflex headband is virtually indestructible, and can return to its original shape even after being flattened by up to 10 times its weight. One major improvement that the M-100 has over its cousin in the same range, the M-80, is the addition of a unique CLIQFOLD design that allows them to fold down for compact storage. Meanwhile, pleather-covered memory foam ear cushions are soft and feel plush on the ears, besides providing a tight, noise-blocking seal. As cushions tend to wear out the fastest due to their constant contact with skin, they are all user-replaceable. The material builds up heat in warm environments, but otherwise, these are extremely comfortable to wear for long hours. Style-wise, the M-100 delivers with four colors: matte black metal, phantom chrome, shadow and silver white. The designs are sleek and modern with a touch of industrial cyberpunk, with screws, hinges and matte surfaces – instantly lending users an edgy look to go with any ensemble. The M-100 has not one but dual headphone inputs, which allows real-time mixing where users can listen to multiple sources at the same time. For example, plug the headphones into an MP3 player for music, whilst connecting the other input to the computer for a gaming session. Since they have dual inputs, users can even share music with friends and family with the included SharePlay cable. There is a SpeakEasy Mic on the cable, so users can make and answer calls without the need for a separate boom mic. Specially tuned for voice recognition, they work by minimizing ambient noise, delivering clear audio to the receiving end. The button control is universally compatible with devices that have 3.5mm ports, such as smartphones and tablets. A Kevlar reinforced cable that ends with a 45 degree plug has been tested to bend over 1mil times, which is 100times above the industry standard. For convenient storage and portability, the M-100 comes with an ultra-compact exoskeleton carrying case with a V-strap system. The form-fitting niche keeps the headphones secure, and has compartments for cables, the included adapter and USB flash drive. With over 22 editors’ choice awards under their belt from reputable tech sites and magazines, the M-100 deserves to be dubbed V-Moda’s flagship headphones. They are pretty much flawless, if not for the expensive price tag. For those who can afford them or are willing to invest in a solidly built, well-constructed pair of headphones with great audio, then the M-100s are the ones to go for.